As anyone with roof problems knows, roofing is a big deal. That’s why you need a roofing contractor you can trust. Twin Pines earns the highest ratings, exceeds industry standards in installation, and provides a full guarantee from start to finish. The first step to determine if you need roof repairs or replacement is a thorough roof inspection. Then we’ll work with you to determine the next step and the roof cost. We look at more than just your roof shingles. It’s important for the prevention of future problems that we look at your roof vents, flashing, trusses, and more. 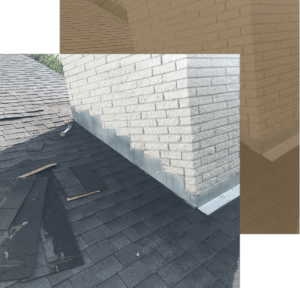 A full evaluation of your roofing damage and its causes. Consultation with you about your concerns for your home’s exterior and determining the best solution for your needs and your budget. Professional roof repair services performed with premium tools and weathertight materials. Sometimes roof repair is not the appropriate solution to the problem. You can trust Twin Pines to discuss your situation with you in detail and guide you through the process of selecting the correct roof system for your home. Needing a new roof is never good news, but we do what we can to make the process as painless as possible. We offer every style, color, and type of roofing you could want. We pride ourselves on expert installation, and all installers are mindful of project clean-up. Finally, we take the time to make sure you’re happy with our work, and we stand behind our projects with our roof warranty. We are the experts in repairing and replacing roofs in southeastern Wisconsin with asphalt shingles , cedar shake, tile roofing, metal roofing, flat roofing, and more. Twin Pines is a TAMKO Pro Certified Contractor, an Owens Corning Preferred Contractor, and a CertainTeed Master Applicator. We offer the CertainTeed 4-STAR SureStart Plus Warranty for roofing. View our gallery of roof photos to see our work in action, and contact us to set up your expert inspection and receive a free roofing estimate.